House prices are still on the upward surge, according to government valuer Quotable Value (QV). Auckland prices, which have risen 3.3% in the past three months, are now over 19% ahead of where they were during the "peak" of the previous housing boom in 2007. And QV expects that prices will continue to go up, despite moves by the Reserve Bank to curb them. Jonno Ingerson, QV.co.nz research director said that Auckland and Canterbury were still driving the national increase in values, with the other main cities seeing limited growth. “The LVR speed limits imposed by the Reserve Bank were in part put in place to slow down the rapid growth in property values," he said. "They will definitely limit the number of first home buyers and investors who will usually require loans of more than 80% of the property's value. "However the rapid increase in values in Auckland and Canterbury in particular is also due to a lack of supply rather than just high demand from potential buyers. So while the LVR limits may have some dampening effect on values, we should still expect them to increase for some time yet." QV says that the average price nationally as at August was $$448,929, which is up by 8.5% in the past year. As at August 2012 the average price was $413,805. The rate of increase is continuing to lift, with the 8.5% annual increase as of August compared with an 8.1% annual rate as of July (when the average price was $445,247) and just 7.6% as of June. Values have increased 2.9% over the past three months and are are now up 8.3% over the previous market peak of late 2007. And the super-hot Auckland market is continuing to lead gains. Auckland values for the latest 12 months to August were up 13.1% compared with 12.8%, in the 12 months to July, while the average price had risen to $652,129 in August up from $644,973 as at July, QV said. In August a year ago the average price for the Auckland region was $576,446. With increasing concerns being expressed about the rising housing market, the past month has seen considerable developments in activity designed to dampen price rises. The Reserve Bank announced new "speed limits" on high loan to value lending from October 1, while new legislation passed by Parliament last week will enact the proposed Auckland Housing Accord that would fast-track housing development, with 39,000 new houses targeted to be built in the next three years. The accord still needs to be approved by the Auckland Council this week. The Real Estate Institute figures for August, which should be coming out within a day or so, will be keenly watched to see whether they show any slowing in the rate of price increases. The REINZ figures are generally considered to give the most up-to-date reading of the market since they report sales back from agents as soon as they go unconditional. Sales figures from Auckland's biggest real estate agents Barfoot & Thompson, which came out last week, showed something of a slowing in momentum in price gains - though sales figures were still very hot and listings, ahead of the spring buying season, were at historically low levels. Whether the B&T figures from last week simply represented something of a mid-winter pause in the upward trajectory of Auckland house prices will become clear in the next couple of months. QV's Ingerson said prices in the the provincial centres have tended to be more variable, although for much of the year many have been slowly increasing. "In the last couple of months however values have flattened or even declined in many provincial areas. It is not yet clear if that is likely to continue or was just a temporary slowdown." Values across Auckland are still increasing strongly. We have seen the highest increases recently in old Auckland City, Waitakere and North Shore; however, Manukau has also crept up again, with all four areas having increased around between 3.3-3.6% over the past three months. Some areas within those cities have increased even further, with the North Shore Onewa area having increased 5.1% over the past three months and the eastern area of Auckland City having increased 5%. In stark contrast, Auckland City Central hasn’t grown as fast, with only a 1% over the past three months. Overall, values across Auckland are 13.1% above last year, with Waitakere and North Shore seeing the highest annual increases, both above 14%. Auckland City is close behind at 13.8%. Again, some areas such as North Shore Onewa and Auckland City South are leading the way, sitting above 15%. Hamilton values are still up, but growth is flattening compared to earlier in the year. Values are up 0.9% over the past three months, and 3.9% over the past year. Tauranga remains variable, with values currently 0.8% above this time last year, thanks to a slight lift over the past three months of 0.8%. Growth in the Wellington area is still limited, with some areas experiencing a small decrease in value over the past three months. Lower Hutt and Upper Hutt have seen increases just over 1% over the past three months, whereas Wellington City has remained the same and Porirua is down 0.4%. Overall, Wellington is up 2.8% over last year. On closer inspection, Wellington City East has slowed down the most at -1.9% over the past three months, with all surrounding areas seeing very slight increases. Christchurch values are still tracking well, with the annual increase sitting at 11.4%. There has been a 2.7% increase over the past three months in general for the city, however there are variances throughout the city. Values in Banks Peninsula have decreased over the past three months, at -2.1%, whereas on the other end of the scale the Southwest area has seen the highest increase at 3.7%. Dunedin has continued to show limited gains in the back end of the year. Values have increased 0.3% over the past three months, leaving it 3.4% above last year. The provincial centres aren’t seeing as much growth as the main centres, however most areas are still up on last year. Whangerei, Taupo, Rotorua and Gisborne are all still up, although Whangerei has seen the most annual growth with 1.7%. Hastings and Napier have both dropped back over the past three months, as has Masterton and South Wairarapa. Carterton is the only areas in the Wairarapa to see any growth over the past three months at 2.2%, ensuring it is up 5.9% annually. In the South Island, Nelson, Marlborough, Kaikoura and Queenstown are all up over 4% annually, although Kaikoura has seen a 3.3% drop over the past three months. Southland and Gore have some of the most noticeable drops, each seeing a decline over 4% over the past three months. Looks more and more like Olly Newland's prophecy that house prices could double in the next few years, is coming true. No matter how you play it, the shortage of housing cannot be regulated away. Either more houses or more slums. I protest..! Mr Moderater....the above is in no way readers choice comment o the day..! with one crappy tick..! Besides it's not a comment, it's an Olly fan club stamp lick.....not to mention an indirect Olly N advertisement.. Readers Choice...my foot, such nonsense. So Ok.....now it has two crappy ticks...it's still not a comment...it's an ad. How is that different to your posts? Your clearly a paid green party supporter. Pah , who needs that ....... we got ticks ! Ha ha ...I just saw this GBH.....I'll have to get some ddt for my ticks.....loved the post at 4.36 p.m........What do they say .? Envy is the compliment paid to genius... ha ha..! Truth be told I'm just plain anti used horse trader......the very fountain of hype itself springs from the Newlands of this world, he knows it ...I know it....but as long as the buyers believe it, the end justifies the means. Hey come on happy....be fair there matey, neither a paid nor Green box ticker to date. Just because I think Norman made Shearer look like a Ghost during his (Shearer's) brief tenure does not mean I subscribe to his manifesto in it's entirety. You just have to get to a place where , just because the Nat's call them pixies in Fairyland does not make it so...and if it does it says a lot about your own inability to listen , read, understand before forming childlike responses to reasoned argument. That said...stay happy ...Happy...ya tyke. Spring is going to be a very interesting time indeed. Will there be a flood of listings come onto the market? I think not. Property prices up. Immigration up. Interest rates up. New housing supply... down. I'd hate to be a renter (in Auckland) on a fixed income over the next few years. Barfoots figures are not accurate enough to be much use. They allow outliers to effect their numbers. Why are some people still surprised that the bottom hasn't hasn't fallen out of the Auckland market!? Ignorance of the special but unequivocable dynamics at play in this market. Is Auckland housing over priced...probably! Will there be a collapse anytime soon...definitely not!!! So for all the doomsayers eagerly waiting like "I told you so" vultures for the stats to back your predictions... about10-years-old by now (Happy Birthday guys btw!! )...you're going to have to wait a fair while, if ever, to finally say "Yuss I knew it!!" Oh and if or when that correction does happen, it will be from such stellar heights that those who hung in there fighting the evil voices will be glad they got treatment and held on to their homes /investment properties. Remain independent with your assessment of the facts, read everything, listen to everybody and FOLLOW NOONE. Remember that Your call is as valid as anyones in the Science of Guesstimology! May your force be with you. Another good reason for the Government to bring cost down on housing so average earning people can afford a decent roof over thier heads and future security. Why is it the Govn's responsibility? How is that secure for them? If you were "government" how would you bring down the cost of housing. What would you do? Give us your detailed manifesto. Step-by-step. Basicly aim to take rampant speculation out of the property market, lower costs and fix house prices. Tax people more who own multiple properties on an increased scale basis, no matter how long they have had it. Create negative rules around land bankers and the like. Provide tax deductions and incentives to first home buyers to build new. Make rate payers and taxes pay for infrustructure. Foriegners are not allowed to buy existing stock. Continue to manage the banks abiltiy to lend on house speculation. 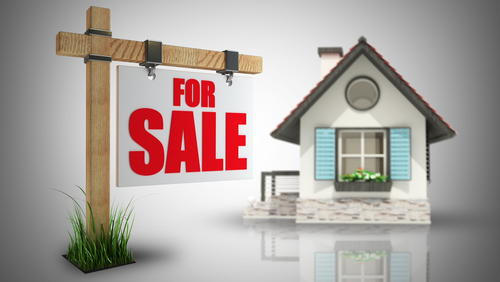 Reduce the need of real estate agents to a bare minimum. What I see here is you passing the costs onto someone else with no justification or looking at their ability to pay. Landlords actually have a positive use, ie not everyone wants to buy. Some points eg foreignes cant buy I agree with....if they dont live here. Build new is hard work and carries risk, plus it often measn the first time buyer has to pay rent and fund a build, cant happen. put the scalable tax of number of properties owned. this will increase the desire for large high return properties, over smaller cheaper ones, making it worth trading upwards (increases supply at lower end for new entrants/equity starters). Foreigner buyers net land&building ownership to be reduce to NZ's net land&building ownership in their country. Tax "consultancy fees" & interest & rents paid to foreign companies, trusts, multinationals- these are profits to the "head office" not expenses to the local business. Course, it runs into the age-old political issue. : most pollies who have more brain cells than yer average intertidal shellfish, know that this list or something like it, is what's needed.They don't, however, know how to get re-elected (or, in the rougher provinces, resurrected), after they've Done it. I would do a Perth in Canterbury and Auckland. Build a motorway in some direction 20-30 km from the city with a commuter rail down the middle and start a new town. The Brendon Government would compulsory acquire the land at rural prices, develop the inner denser core and transport links by compulsory acquistion, while allowing less dense development further out by private developers using the MUD model, with the developer paying for the transport links to the inner core or motorway. That would solve the inelasticity of supply problem in the two key areas of New Zealand driving up house prices. Another solution which would work better in Canterbury than Auckland because of the large amount of rural land in Canterbury, is to allow community, family, religious, and environmental groups to start new villages/hamlets in some short consenting process. Maybe using the Texan MUD model or maybe by adapting NZ body corporates to fund the infrastructure build. Also maybe it would take 10 years to build a new town, but just announcing the plan will change peoples expectations of ever rising house prices. Especially once the government is committed by compulsory purchasing the land. A house in SW6 will return you a whopping 1.2% yield. Cant see that changing much. Big Daddy's post is verging on an advertisement. which promotes interest.co's website very heavily at the same time. As far as a CGT is concerned how is it ever going to work? You will have a big bunch of people who bought yesterday unaffected while another big bunch buying tomorrow will be. Then if Mum Dad and three kids spend money make improvements on a do up ,how's the profit going to be calculated? And if they spend days and nights on their knees stripping paint, laying concrete, or cleaning up the garden, how is this factored in? $7.50 per hour for children up to 12 years of age and $15.00 per hour for adults? Less PAYE? Plus GST? Less income tax? Anyone know of a government being elected by promising more taxes? ... so you're in the ABC camp , BigDaddy ? When was the last time u pulled off the motorway and took a cruise around Pokeno...maybe visit the Sunday market at the same time? I believe that the rapid house price appreciations will peak out at the end of this year. Reason being a combinationation of Fed tapering - Banks being forced to raise rates due to higher funding costs. Then 2014 we should see more normal house price appreciation no greater than 5% in the Auckland region for the whole of 2014. Maybe more like 3%, and this is if we do not get any shocks in the world. With slightly high rates then demand for housing will soften.